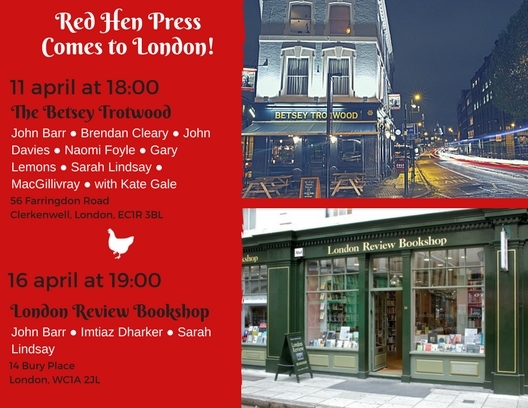 Red Hen in London: A poetry event flyer. Weds April 11th at 6 pm, The Betsey Trotwood Pub, 56 Farringdon Road. Readers include Naomi Foyle, Kate Gale, Brendan Cleary and John Davies.